It was an unlucky day for the Wexford hurlers last Sunday in croke park!.. 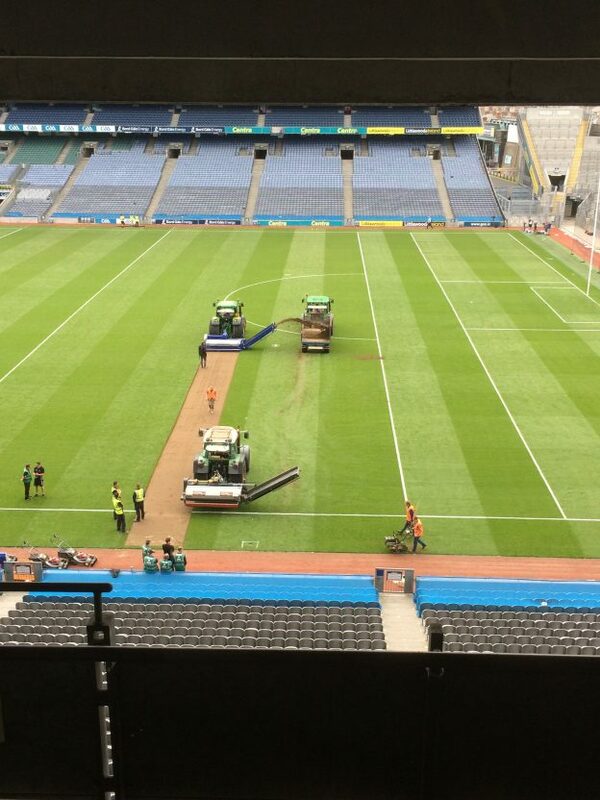 Within minutes of the teams leaving the field Clive Richardson Limited were out lifting the pitch for the coldplay concert at the weekend, these lads are fast operators!! These guys use one of our high end fuel management systems to monitor fuel across the fleet. This entry was posted in Blog on July 7, 2017 by shane. New site storage tank – the boom is back! !